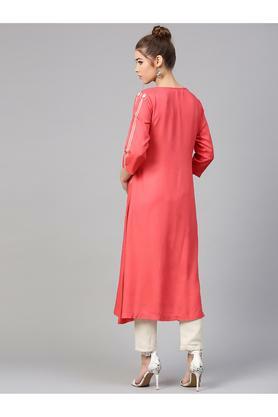 A fusion of comfort and style, this kurta from the house of Varanga, redefines your fashion statement. It features a round neck which will make it convenient to wear. 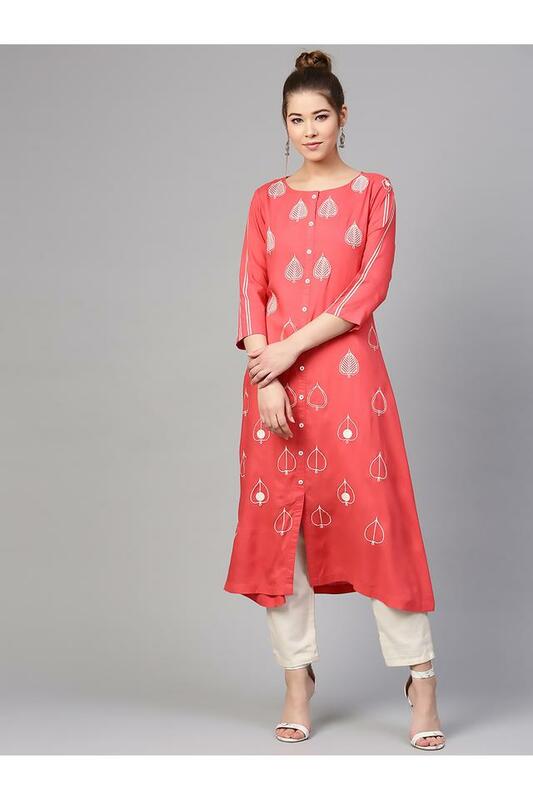 Furthermore, it comes with a printed pattern that lends it a distinct look. Also, the use of premium quality fabric makes it easy to maintain. 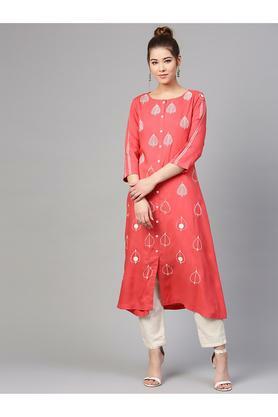 Let everyone shower you with praise for your sense of fashion when you step out wearing this kurta. You can team it with a pair of sandals to look ready for any casual outing.